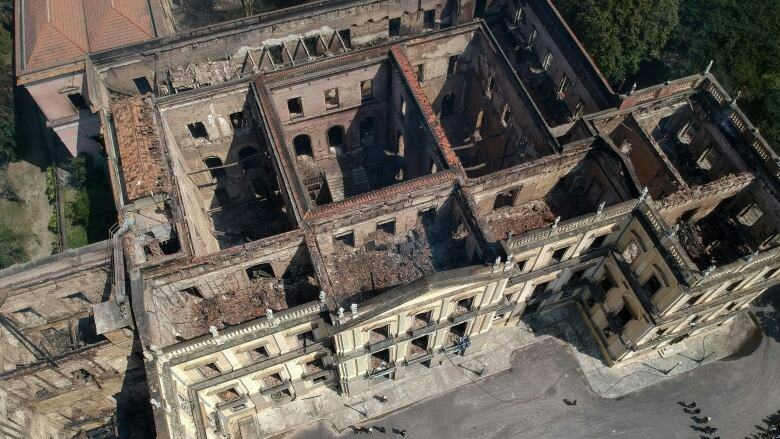 Brazil's national museum is destroyed after a fire ripped through the 200-year-old palatial building. The deputy director of the museum says his government is to blame for neglecting the iconic institution. The collections of one of the world's finest museums have been reduced to ash. 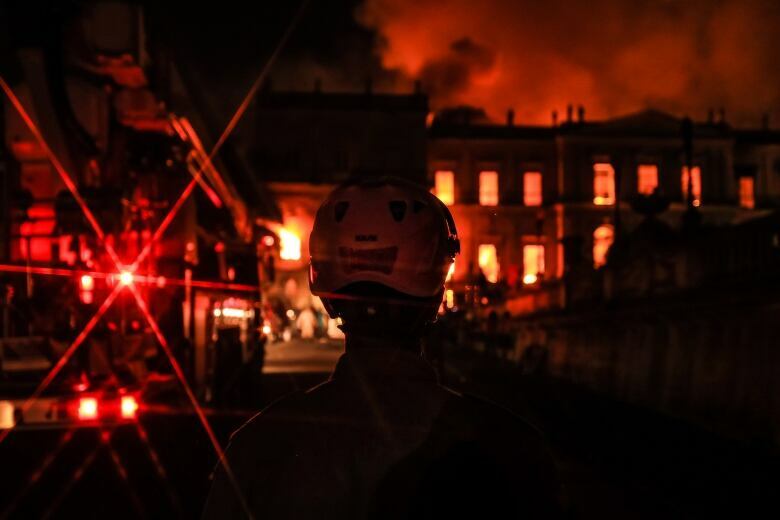 On Sunday, a massive fire ripped through Brazil's National Museum in Rio de Janeiro. The 200-year-old museum held more than 20 million artifacts — almost all of which went up in flames. 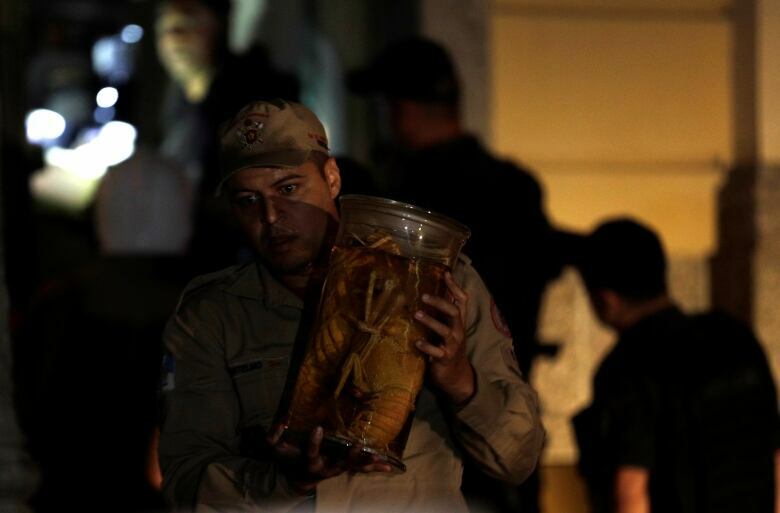 As It Happens guest host Helen Mann spoke to the museum's deputy-director, Luiz Fernando Dias Duarte, about the magnitude of the loss and why he believes the fire could have been prevented, if the government had answered calls for more funding. Mr. Duarte, this is just a terrible day for anyone who values historic artifacts, but, of course, especially for Brazilians. How are you feeling right now? Devastated. My whole career has been done at the [museum]. Personally, I've lost my library, and my archives — well, everything. But I am a social anthropologist and I can go on with my research, and my investigations, and my writing, and my teaching, independently from collections. Most of my colleagues, who are zoologists, or paleontologists, or archaeologists, they depend for work on the collections, which have been destroyed entirely. And so their fate is much worse than mine. And then, of course, more than all of us, is the fate of the institution. The loss is huge. It's difficult to describe exactly the richness and the variety of the collections that were turned into ashes. But then, besides the material and cultural loss, we have the loses for the careers of the researchers, and for the careers of our graduate students, who were preparing their theses using material from the collections, or from the social-anthropology library. The cause of the fire is still under investigation, but you believe that Brazil's government should be held responsible for this. Why? I am sure the federal government, the national government, is responsible, because they did not approve of the funding we have permanently asked for in the last decades, for the maintenance of the structure of the museum. I was director between 1999 and 2001 and, at that time, we were already pleading for specific and special funds for these structural interventions, which meant, basically, the construction of new buildings to house the collections and the teaching department to be able to make a more adequate restoration of the palace. We could not restore it in these structural dimensions, occupied as it was, with students, and collections, and research laboratories. What did the government say to you when they turned down these funding requests? It was not a very direct answer. It's something that gets lost in the bureaucracy, in Brasilia offices. I think the best example of the situation is we were able to get approved by the parliament funding that was very considerable, $20 million reais ($6.3 million Cdn), in 2013. It was approved by parliament. But someone in the ministry of finance, probably, did not allow for the money to be transferred to our accounts. And so, we lost. If that money had reached us, at that time, this tragedy would not have happened. 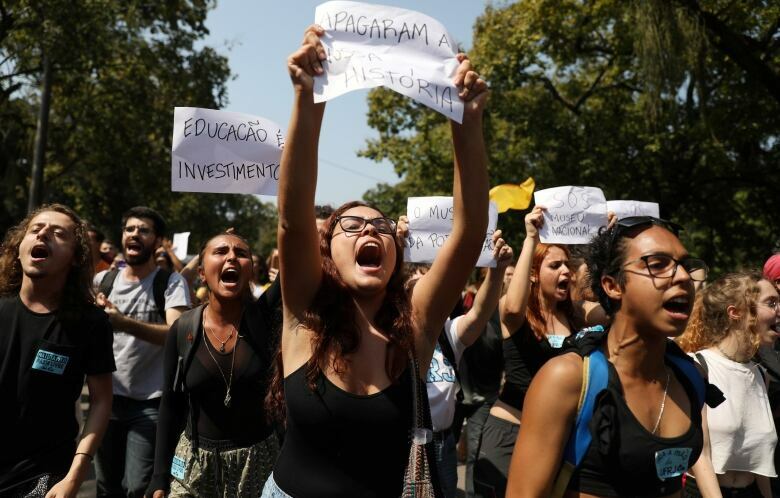 Many Brazilians, and also many opposition politicians, are blaming the government. They point to the spending of billions of dollars to host the Rio Olympics two years ago, [and] the World Cup. There was also money put aside for a new museum, the Museum of Tomorrow. So, do you believe that some of that money should have gone to the National Museum? I am sure of it. If they had given to the museum, one fourth of funds that were used for any one of the soccer stadiums that are completely useless now, that would have been sufficient to put the museum in good condition, in a resistant condition, to face a tragedy like this one. So, what does that say about the government's values? Oh, you see, what we can describe as a value in the Brazilian government is an absolute irresponsibility towards heritage — cultural and historical heritage. It's mismanagement, of course. It's corruption too. But it's a lack of consciousness about the importance for a nation of the cultural, artistic and educational heritage of the nation. This is generalized in all levels — municipal level, at local states level and at the federal level. It's a terrible plague and I'm very sad to say to you that sometimes Brazil seems to be really unable to face the challenges of the present moment of the humanity, given this carelessness, which is the word that I think is most adequate to describe the attitudes of the political actors in the country.